My 17-year-old daughter works for shoes. And I mean that literally; she works four hours a week in a pizza parlor just to pay for her shoe habit. She orders copious amounts of shoes from Zappos.com, tries them on at home when she receives them, and sends back those she doesn’t like. She started buying from them because of their selection, but keeps buying because the customer service is top-notch. Why am I telling you this? Because by analyzing her buying habits and interactions with the company, Zappos can glean a lot of valuable information that it can use to further improve its excellent customer service. This is just one example and clearly, there are thousands—every customer or potential customer who interacts with the contact center is a chance to learn more about what works and what doesn’t. Most companies don’t do this, though; instead, they leave valuable information on the table—information that could be used to train call center agents to provide better feedback and ultimately, improve customer satisfaction while driving higher customer share and company revenues. Most contact centers today use sophisticated software technology to help gather statistics, but the mistake they make is thinking that those statistics are what they are looking for. Software technology certainly is a great enabler, but it’s not the basic statistics that really drive change—it’s using them as a starting-off point for further growth and introspection. The biggest hurdle companies must get over isn’t the data-gathering or tracking of performance metrics, but the corporate culture necessary to continuously apply call center learning and systemically improve the customer experience over time. That’s the difference between companies with world-class customer service and those with merely “good” service. To achieve contact center greatness, you first have to be willing to admit that your contact center, and your agents, make mistakes. But most companies don’t reward failure; they punish it, says Tim Montgomery, CEO of Cooney Solutions Group in San Antonio, Texas. Montgomery’s company helps organizations make the most of their contact centers. “Every time they get feedback on a call because they did something that was dumb it becomes public knowledge, so everybody starts pointing fingers,” he says. Instead, they should welcome the candid feedback. Here, after all, is a valuable piece of information—albeit negative—that could be used to improve the process. 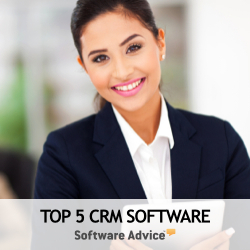 For example, a customer relationship management (CRM) software system can easily document how many customers contact the call center by various methods and how timely and effectively those contacts were resolved. But those are just scores—not necessarily actionable metrics that will drive business process change throughout the call center organization. It’s the next step that counts—developing the most salient contact center metrics that really count, like calls per shipment for example. For illustration, Amazon wants to know how many calls, emails or other inquiries are connected to each product shipment. That performance metric must be connected to every department within the company. And every department must be open to improving that metric—not just the contact center but marketing, shipping, the website, etc. But more than anything else, it’s the mindset. It has to be one of positive change and acceptance of failure. That’s rare, Montgomery says. There are not a lot of companies that have made the call center learning leap, but those that have show up at the top of any of the lists known for providing great customer service. At the top you’ll find Apple, USAA, LL Bean, Zappos. They understand contact centers. But more importantly, they understand human nature, and they are willing to apply learning from every customer experience, every day, in order to assess, change and advance their mission.